●ONE BRUSH. MULTIPLE USES. Use for day-to-day blush color on the apples of your cheeks; use for contouring under the cheekbone for a more sculpted look, and use for highlighting the larger areas on your face. The soft angle deposits just the right amount of pigment for either a soft or dramatic look. It's firm enough for perfect contouring and blending without pulling. ●Best Quality Angled Kabuki Brush -- The angled brush is perfect for applying blush. 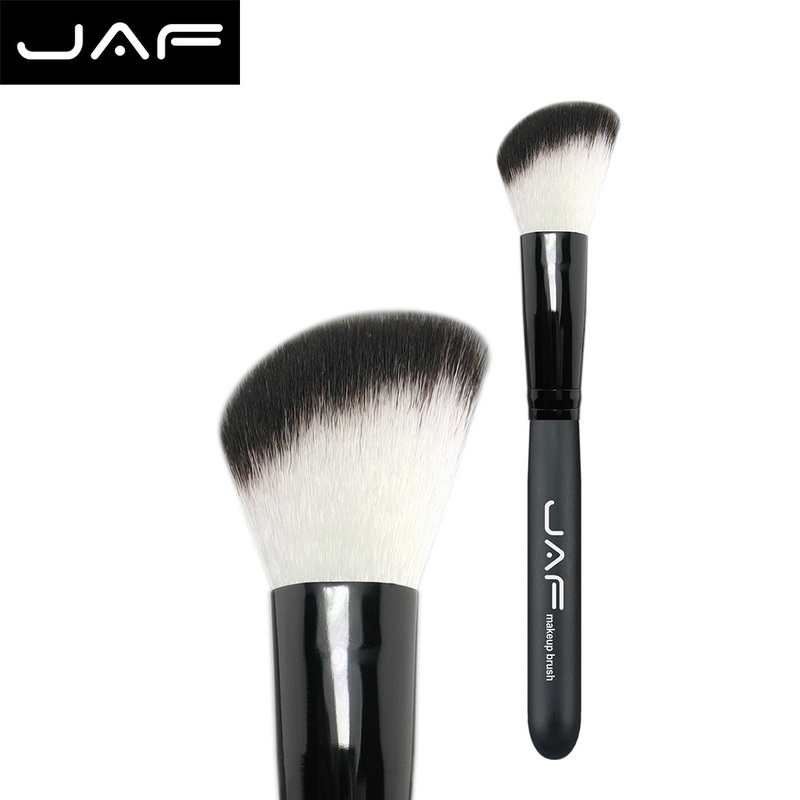 The soft angle deposits just the right amount of pigment to the cheek for either a soft or dramatic look. It's firm enough for perfect blending without pulling. Perfect for stippling, buffing, blending, contouring, and finishing. Get smooth, streak free coverage and touch up perfection every time.